From political drama to the mobile resurrection of Pac-Man, here’s what trended on search this week. This week, the hammer came down on the state of Indiana after Governor Mike Pence signed the Religious Freedom Restoration Act, which would have allowed businesses to refuse service to individuals based on their sexual orientation. The law quickly drew a firestorm of criticism from the public— Apple CEO Tim Cook and the NCAA condemned it, while Walmart spoke out against similar legislation in Arkansas. 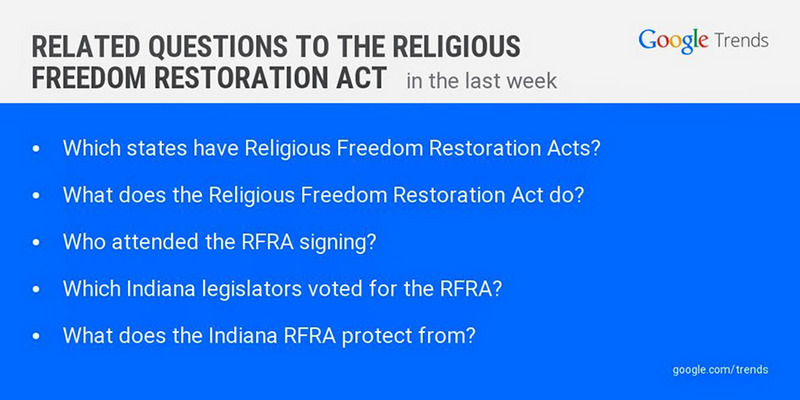 Amidst outcry against the law, searches for [indiana law] passed 200,000+ and left state officials squirming. Eventually, the attention forced Pence to pass a “fix” to the bill that would prohibit businesses from using the law as a justification to deny people services based on race, disability, religion and sexual orientation. Over in California, an ongoing four-year drought is pushing the state into a near-crisis. This week, Governor Jerry Brown signed an executive order calling for water supply agencies across the state to reduce their use by 25 percent—a first in California history. News of the mandate is drawing interest online with the term [california drought] spiking on the web after the announcement. 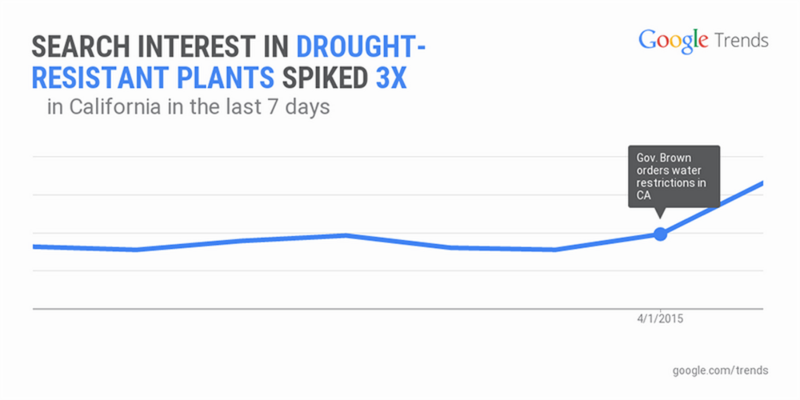 People are also looking for alternative methods to get through the dry spell—searches for drought-resistant plants spiked three times in the past seven days. The Internet is normally a funny place, but on April Fools’ day it takes the gags and laughs to a whole new level. Searches for the best pranks and jokes topped out at more than 200,000, with Petco’s dog selfie stick and Cottonelle’s toilet paper for the left-handed earning top honors from the media. 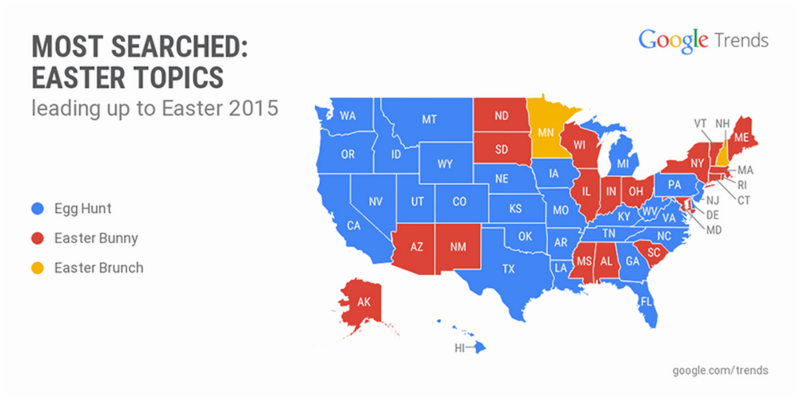 Even our own “PAC-Maps” got the web chomping—searches for the game soared to 2 million. This week was no joke for comedian Trevor Noah, who was introduced as the new host of The Daily Show on Monday. The Twitterverse criticized the decision after discovering several old distasteful jokes the comedian had made on Twitter. Calling the tweets anti-semitic and sexist, some are already threatening to boycott the show. But not everyone is pulling out their pitchforks just yet: The network is standing by their choice while others are labeling the tweets a case of bad jokes. Either way, searches for the comedian hit an all-time high. As Easter and Passover begin this weekend, people turned to the web to look for desserts, recipes and activities to celebrate the holidays. 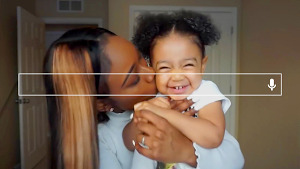 Searches for Easter-related topics like egg hunts, the Easter bunny and Easter brunch trended across the U.S. And people wore their lightest blue this past Thursday to mark Autism Awareness Day—which made it to the top 10 on the search charts that day. Struggling with your Easter egg decorations? Tell Google to, “Show me picture of Easter eggs,” to find a little design inspiration.